A ‘Hero of the Holocaust’? 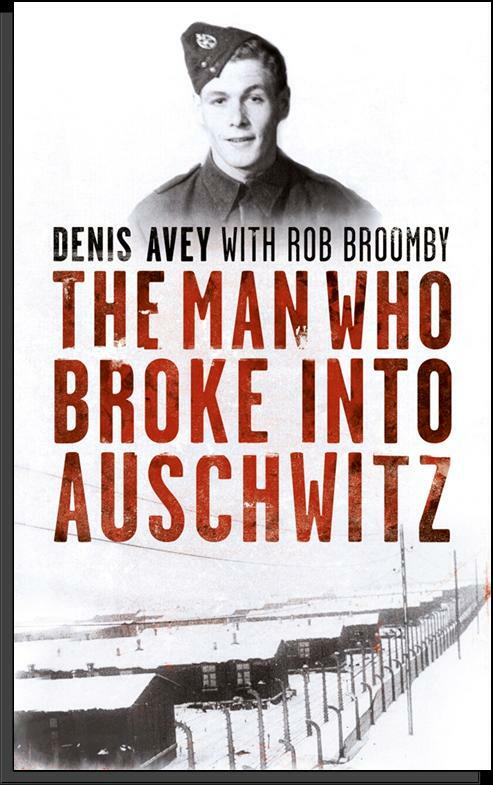 Dennis Avey was awarded a six-figure advance sum for his ‘I-broke-into-Auschwitz’ book,’ much hyped in British national newspapers and the BBC, in 2009. The Prime Minister decorated him as a living ‘Hero of the Holocaust.’ But, some wondered why no-one had heard about this daring exploit, for the previous six decades? It turned out that in 1947, Mr Avey had been approached by American prosecutors via the War Office to ask if he would like to make an affidavit of his experiences to help build a case in a war crimes trial, and he declined that offer. When in 2001 this octogenarian was interviewed for the Imperial War Museum’s archives this tale first appeared. [i] It seemed to be somewhat mercurial, changing each time it was told. He gave a couple of further interviews, in 2002[ii] and 2004[iii] about his wartime experiences, which made no mention of his supposed act of great daring and bravado. 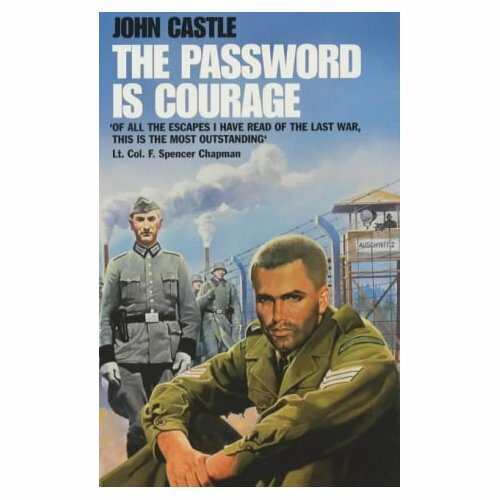 His book, published in ten different countries and then translated into 14 different languages, seemed rather similar to an earlier one, which Avey omitted to mention: John Castle's The Password is Courage about Sergeant-Major Charles Coward. [iv] On its back cover this had proclaimed, ‘The Man Who Broke into Auschwitz’ – which was Avey’s title, exactly. Half a year after Avey’s publication Guy Walters in the New Statesman urged that it should be ‘withdrawn from publication’[v] owing to the unresolvable contradictions in his tellings of the story plus a complete absence of external corroboration. The plan in promoting Avey’s story seems to have been to help re-elect Labour in 2010 by securing the Jewish vote, and it may nearly have worked. 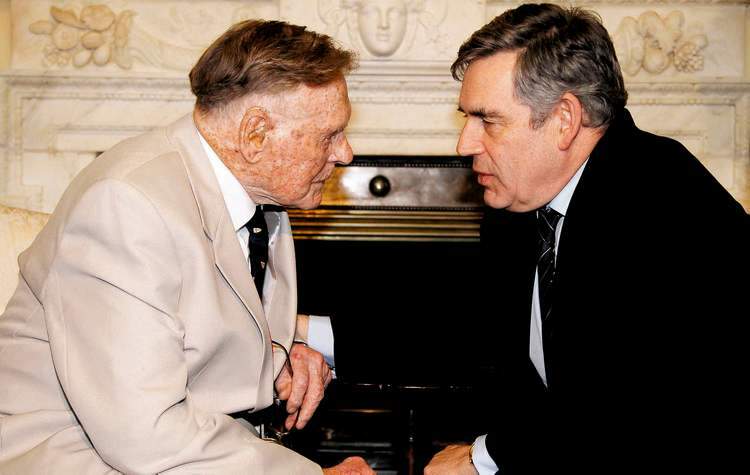 An alliance between the BBC, the Holocaust Education Trust (HET) and the Labour Party mis-used an old man’s dotty memory to put a 91-year old war-veteran onto a pedestal where he didn’t belong and from which he could not readily step down. Here are a pertinent couple of web-comments: ‘We should consider the hypothesis that Avey is a decent man fallen among politicians;’ and, ‘Decent men don’t lie through their teeth as this man has been doing for a long time. He may be a compulsive liar and braggart who has now gotten in deeper than he might have wished.’[vi] My feeling, listening to the tapes in the Imperial War Museum, was that Avey just could not tell the difference between his real memories and those he had made up. His first ‘remembering’ of his daring tale was narrated in 2001 to Lynn Smith, who was in charge of tape archive-recordings for the Imperial War Museum. She recorded ten reels with Avey, and reels seven and eight have brief, one-minute allusions to that which would later make him famous. Three themes intertwine: cigarettes he obtained from England (NB that really happened), his imagined night-time visits to Birkenau, and his allusions to an Australian ‘stoker’ who worked there. Avey lived at the small camp E715, a few hundred yards from Monowitz, the vast chemical-industrial plant (often called Buna-Monowitz on account of its manufacture of Buna rubber) half a dozen miles to the East of Birkenau operated by I.G.Farben. In between these was the little village of Oswiecim (‘Auschwitz’ in German) - though, you’d never guess that from his story. 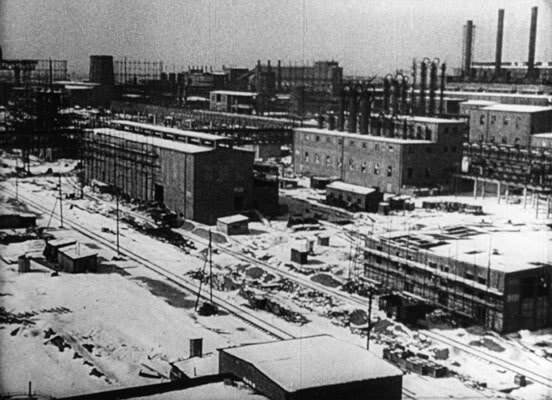 Describing the big I.G.Farben chemical works Avey casually alluded to the thousands of persons gassed, but he did not answer when Lynn Smith asked him, in what way he experienced the mass gassings. His accounts keep describing the dreadful smell of the crematoria: but these were miles away from the Monowitz plant, leaving us in doubt over his memories. But, if ‘stripey’ had borrowed some normal-looking clothes, could he not have escaped?Would Avey really have expected him to meet him the next morning and hand back his outdoor clothes? Would he not look rather strange and be liable to arrest and I.D check? What was the point of Avey entering into Birkenau at night-time? Apparently he wanted to have a chat with Ernst. Later on the point of the operation became, to gather information – but in that case why would he visit at night-time not in the day, and why tell no-one about it for fifty-six years? Readers complained that his account revealed nothing about the camps not already in public knowledge. Avey told Lynn Smith that he sent letters to his mother telling her ‘numbers of people who were gassed every day’ which sounds rather strange. But he did ask her to write and ask Susan Cottrell to send him cigarettes, and they arrived. The next reel has Avey recalling how Birkenau ‘smelt of death’ and its inmates had ‘no end of lice on them,’ and how Ernst, who had done the swap, went to E7158 near Monowitz for the night. He doesn’t mention that this was a six-mile walk. In Avey’s place, Ernst found himself being well-fed and became ill from the sudden abundance of food. This happened twice, on two nights. Avey’s colleagues guessed what has happened, as Ernst spent the night ‘swapped over’ in place of Avey. The greatest risk would have been to the Jew Ernst, who had to walk many miles through the night in a British POW uniform It’s a mad story lacking either semblance of credibility or backup evidence. We are left reeling by the contradiction here (if you’ll excuse the pun), as to whether Avey has swapped with Ernst or not. The two reels imply different stories. Ernst also told Avey about an Australian in Birkenau, an escaped POW, who ‘stoked the crematoria for twelve months’, and when he got back home wrote a book about it called Stoker. That book by David Watt really was published, in 1995, but to quote Guy Walters in the New Statesman, ‘Unfortunately for Avey, that book has been widely shown to be yet another discredited Holocaust memoir.’ http://www.newstatesman.com/blogs/guy-walters/2011/11/avey-book-holocaust-auschwitz Watt's Service and Casualty Form kept by the Australian army shows no evidence he had ever been in Auschwitz-Birkenau. Avey’s account here has drifted into that of a book he has read, which should have been a warning sign. In 2005 Avey gave an interview to The Mirror, where he tells the second version more or less: He swaps with the German Ernst, who spends the night in Monowitz, while Avey audaciously breaks into Birkenau six miles away. [vii] But this happened three times, not twice as in 2001. In 2009 Gordon Brown Britain’s unelected Prime minister paid a visit to Auschwitz. He started to promote school visits there, two pupils from each school, and pushed his ‘Hero of the Holocaust’ award through Parliament. As a consequence the call went out for some ‘living heroes’ to be found and two were found, Avey being one of them. This was Britain’s answer to the Yad Vashem’s ‘Righteous among the nations,’ i.e goyim who had been privileged to assist God’s Chosen People in some way. Later that same year the BBC cast Avey as the hero of their Auschwitz docudrama. This featured BBC correspondent Rob Broomby locating the still-alive Susan Cottrell living in England who confirmed the cigarette story. Furthermore her brother the deceased Ernst Lobenthal had made a video-record of his memories,[viii] which alluded to a ‘Ginger’ who had obtained the cigarettes from England. That was all quite exciting and made a good TV program – but, Ernst never alluded to any ‘swap’ with said Ginger, in his story, and Ernst Lobenthal’s daughter said she did not believe it. Broomby and Lobenthal had both been into the ‘Nazi gold’ story, whereby Swiss banks had been relieved of a cool 1.6 billion Euros by Israel (Chapter 5); the latter being the lawyer leading the legal fight. 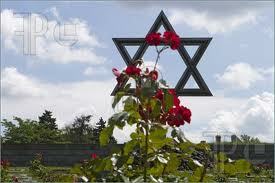 I joined the Stripeys and marched into Monowitz, a predominantly Jewish camp. 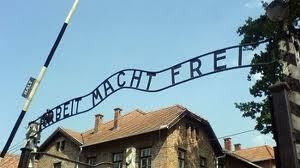 As we passed beneath the Arbeit Macht Frei sign, everyone stood up straight and tried to look as healthy as they could. There was an SS officer there, weeding out the weaklings for the gas. Overhead was a gallows, which had a corpse hanging from it, as a deterrent. An orchestra was playing Wagner to accompany our march. It was chilling. 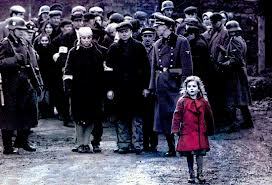 They were herded through the camp, carrying the bodies of those who had died that day. I saw the Frauenhaus — the Germans’ brothel of Jewish girls — and the infirmary, which sent its patients to the gas after two weeks. I committed everything to memory. Then as it grew dark ‘the place was filled with howls and shrieks. Many people had lost their minds,’ as one would expect from such an infernal realm. Readers will hardly need reminding that the famous ‘Arbeit Macht Frei’ sign over the entrance was located at the base-camp (‘Auschwitz-1’) not Monowitz. The separating out of people, dividing the fit from the unfit, is reported from Birkenau, and not really at Monowitz. Pressure then grew for the book to be produced, co-authored by Boothby, In the book he swaps uniforms with the Dutch ‘Hans’ to sleep in Monowitz, two ‘guide’ friends of Hans take him to their bunk and there was no ‘stripey.’ Ernst is right out of the swap picture, so is ‘stripey’ and so is Birkenau! Instead, Dutch Hans does the exchange. Memory is a fragile thing, but this seems a rather drastic metamorphosis from his earlier versions. The character Hans is not identified, and may never have existed. The story is now more similar to Coward’s in The Password is Courage, which went through ten editions since it was published in 1954, and described a break-in to Monowitz. Had Avey waited all these years until those who were with him there had passed away, some wondered? Synchronising with the book’s publication at the beginning of April, the Daily Mail did a feature on Avery’s Walter-Mitty type adventure, and a large majority of the comments posted under it were sceptical. [xi] I suggest that, in response to this scepticism of its readers, it then a week after the book’s publication ran Guy Walter’s devastating article[xii] from which the book’s sales never really recovered. Perhaps because of this it never really hit the best-seller ratings which had been anticipated. Avey seemed not able to distinguish between Birkenau, Monowitz the great industrial centre for armaments and buna-rubber products, and the main Stammlager base-camp with its famous ‘Arbeit Macht frei’ entrance gate. And who exactly had he swapped with? * The chief historian at the Auschwitz-Birkenau memorial and museum in Poland, Mr Piotr Setkiewicz, said he knew of no independent witnesses who would verify Avey's story, and voiced doubt about Avey's account. Breaking into Auschwitz "would be extremely risky, and I cannot see any reason for doing such an exchange," he said. My local bookshop advertised Avey's £20 book as promoted on TV. [i] Imperial War Museum ‘Oral History Cat. No. 22065: interviewed by Lynn Smith. [ii] One-hour interview with BBC Radio Derby,11.11.02, tape in Imperial War Museum. [iii] D.Jeffreys, Hell’s Cartel (about I.G.Farben industries) 2008, interview with Avey in 2004. [iv] At Nuremberg, Coward gave testimony ‘now widely discredited by Holocaust scholars’ (Guy Walters) in which he claimed to have smuggled himself into Auschwitz by swapping places with a Jewish inmate. [v] Guy Walters New Statesman ‘The Curious Case of the Break into Auschwitz’ Nov 2011. [vii] ‘Brit who broke IN to Auschwitz’, Daily Mirror 24.1.05. [viii] In 1995 he recorded his ‘Shoah memory’ for Stephen Spielberg’s Shoah-Foundation (online). [xi], ‘The British Soldier who broke into Auschwitz,’ The Mail, 1.4.11. [xii] Guy Walters ‘Did this British POW really smuggle himself into Auschwitz...? Daily Mail, 9.4.11.